Lincolnshire Police are asking for the public’s help in identifying two men following the theft of sausages and lamb from a shop near Welton. 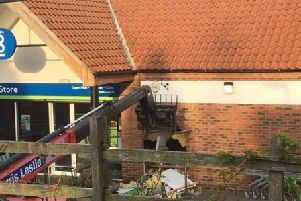 The offence saw around £30 worth of meat being stolen from the Co-Op food store in Market Rasen Road, Dunholme, on Monday April 7. • Call Crimestoppers anonymously on 0800 555 1111 or click here to report a crime online.